Secure your life and livelihood from cyber and fraud threats. Many people made this book possible and contributed to it. Ben Wilson and Antonia Merzon deserve much of the credit for this book, and deserve special thanks for their help and editing. Ben, an information security expert and lawyer, is the former Chair of the Book Publishing Board of the American Bar Association Section of Science & Technology Law. Recognizing the need for such a book for lawyers, he proposed the concept and then shepherded my drafts through to publishing. In sum, this book would not have been possible without him. Antonia was my visionary supervisor at the New York County District Attorney’s office, and has read more of my writing over the last fifteen years than anyone should have to. Her thorough editing and insight was invaluable for this book. 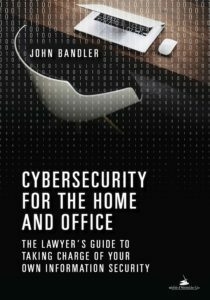 Rob Bandler, my cousin and formerly the Deputy Director of IT Security at Cornell University, read the entire book and gave extensive help in many areas ranging from cybersecurity, information technology, grammar, and more. Bret Rubin also made it from beginning to end of the book, and offered important suggestions. Now an information security professional, Bret and I worked together at the District Attorney’s office, including on the "Western Express" international cybercrime case mentioned. and others who prefer not to be listed here. Of course, the experience and knowledge I have gained in the fields of cybercrime investigation, cybercrime intelligence, information security, criminal investigation, and law was not obtained in a vacuum. Many individuals and organizations played a role in that too. Finally, none of this would be possible or worthwhile without the support of my family, and my appreciative thanks go to my wife, children, and parents. I especially thank my mother, who read it all, and provided essential editing assistance and feedback.